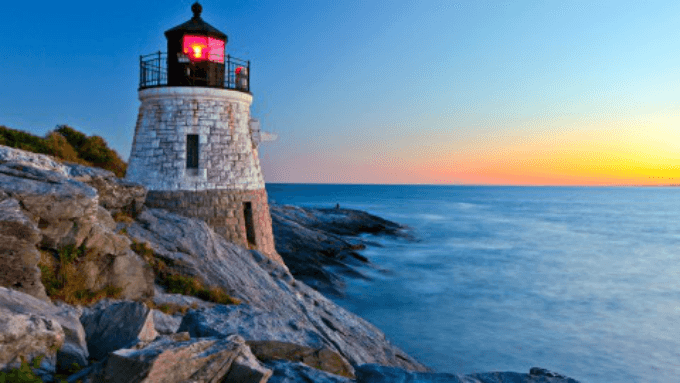 Rhode Island continued the process of signing a very pro-gambling piece of legislation into law this week as the state looks to become the most recent to allow sports betting following the Supreme Court’s decision to legalize it at the federal level. The SCOTUS repealed PASPA, a 1992 federal ban on sports betting, and left the practice up to the deliberation of state governments. Since that day in May Delaware and New Jersey have both been able to open for business and another Northeastern state could join them as early as this week. The process has gone comparatively smoothly for the Ocean State as a proposed budget that allows for and regulates sports betting is rolling right along to the Governor’s office. The budget was approved by the House last week by an overwhelming 66-7 margin and this week the Senate voted to keep it going with a 34-2 landslide vote. Now the budget is on to Governor Gina Raimondo which is good news for its supporters, as she is the budget’s original author. Raimondo is expected to sign the budget into law by Friday as she has promised to do so. Raimondo is hoping sports betting and an expanded medical marijuana program will help offset a $135 million increase in the state’s spending. Some of her critics pointed to this as an issue with the budget and whether or not it will accomplish its goal. House Minority Leader Patricia Morgan (R-West Warwick) was critical of Raimondo’s faith in sports betting and marijuana to generate substantial enough funds to balance the budget. That was back in January, however, when the federal legalization of sports betting was very much up in the air. Many had no idea how the Supreme Court would rule and while there were plenty who were banking on it, like Monmouth Park’s Dennis Drazin, there were just as many who never would’ve expected such a pro-betting decision. That appears to have brought up everyone’s spirits as evidenced by the two dominant votes that brought the budget right back to Raimondo’s desk. House Speaker Nicholas Mattiello, who initially was cautious about the budget's implications, believes sports betting will boost the state’s tourism and entertainment and get the state ahead of the curve in at least this area. The state is poised to collect a whopping 51 percent of the revenue generated by sports betting while the operator will keep 32 percent and the casino will take 17 percent. Since the process has begun, International Gaming Technology has been the only company interested in filling the role of official sports betting operator in Rhode Island and has a longtime business history with the state. IGT’s CEO Marco Sala said back in May that the company had approached Rhode Island with a comprehensive plan including both digital and brick-and-mortar provisions. “Today, in the US, we provide a regulator-certified sports betting solution that is up and running at MGM’s casinos in Nevada. This solution is comprised of both land-based retail sports betting platform and the PlaySpot, our mobile solution. Ultimately, the opportunity will depend on how many states choose to allow it, how quickly they do so, and how the regulations will shape the offer. Having said that, we have a longstanding deep relationship with the US casino operators and state lotteries, and have been actively engaged with them and government authorities to support shaping a safe and sustainable offer. Raimondo expects sports betting to pull in around $23.5 million in revenue in its first full year and thus will expect casinos to take in around $900 million in total bets. Whether or not these goals are met should say a lot about the future of betting in the state, but being amongst the firs to offer it and beating out the likes of West Virginia, Pennsylvania and Mississippi and even New York is nothing for the smallest state to be ashamed of.